On Friday, Katrina Kaif and Ranbir Kapoor launched the second song from their film, titled Galti Se. On Tuesday, Katrina shared a behind-the-scenes video of her upcoming film on Instagram. In the video, the 33-year-old actress said that she had to 'slow down' for Ranbir Kapoor while filming the song Ullu Ka Pattha. Ranbir Kapoor responded to Katrina through a video that has been posted on UTV Films' Instagram account. "I'm busy shooting and minding my own business and suddenly I saw these videos of Jagga Jasoos. You are helping me shine, which is amazing. So this one's for you Katrina. Check it," said Ranbir as he shared a glimpse of the song Galti Se Mistake. 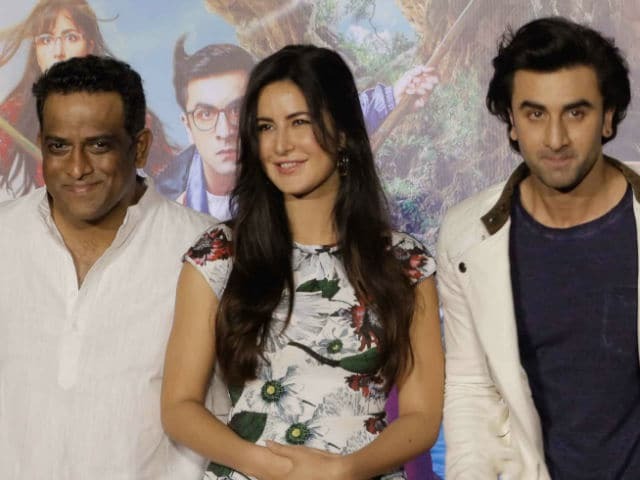 Jagga Jasoos marks Ranbir Kapoor's debut as a producer. The 34-year-old actor will be seen portraying the role of a detective, who is in search of his missing father. Katrina Kaif features as his accomplice in the film. Jagga Jasoos also stars Adah Sharma, Sayani Gupta and Saurabh Shukla. The film is scheduled to release in theatres on July 14.